Gwyndaf Evans is a physicist with 30 years experience in the field of macromolecular crystallography (MX), principally based at synchrotron sources working on X-ray beamline construction and the development of software and methods. He has a particular interest in pushing the boundaries in structural biology by advancing data collection and analysis methodology in MX and a track record of developments at the cutting edge of X-ray facility, methods and software development. 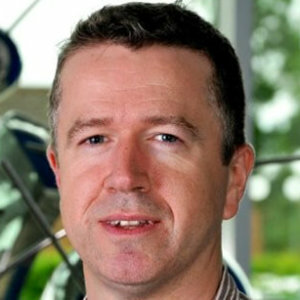 He currently leads the development of DIALS (dials.diamond.ac.uk), a new diffraction integrated software suite, and head the construction of an advanced sub-micron X-ray beamline for MX at Diamond, VMXm. Currently at Diamond, he is driving organisational change by leading the team responsible for reshaping processes and structure to improve the delivery of beamline engineering projects and operational support. This will position Diamond for the next decade of engineering and scientific challenges.